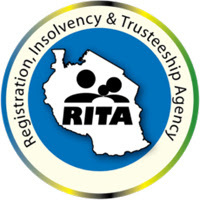 The Registration Insolvency and Trusteeship Agency (RITA) aims at effective and efficient management of information on key life events, incorporation of trustees, safeguarding properties under trust, of deceased persons, insolvents, and minors to enable the law to take its course. RITA was officially launched on the 23rd June 2006 and replaces what was known as the Administrator Generals Department in the Attorney Generals Chambers, Ministry of Justice and Constitutional Affairs. It is an Executive Agency under the Attorney Generals Chambers in the Ministry of Justice and Constitutional Affairs. It should be noted that under both colonial powers registration of births and deaths was not compulsory for Africans. Use the buttons below to share with friends.